Happy Wednesday, loves! I recently went on a trip to Chicago and I had such a hard time packing! So, I thought it would be really helpful to put together a little fall packing guide for any of you guys who are traveling this season--and keeping it as simple and light as possible! These are a lot of pieces that I actually brought on my own trip. This guide is perfect for a weekend out of town, and everything here can be packed into a large weekender bag or a carry on suitcase. 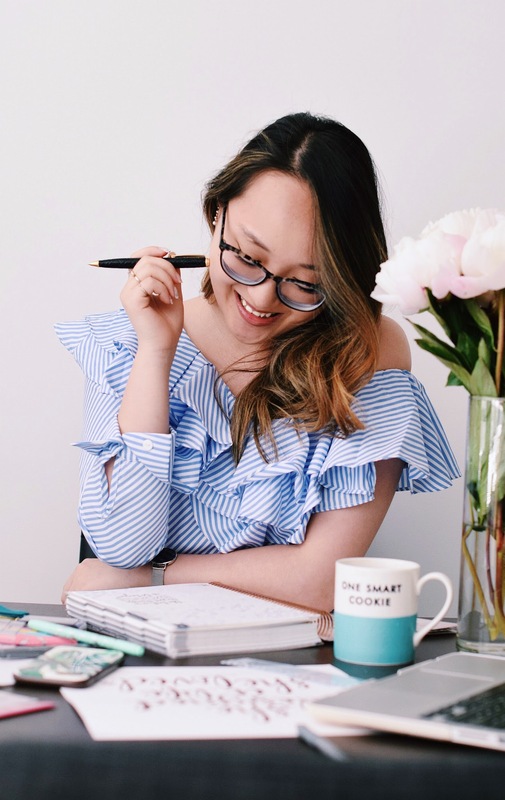 To keep it simple, I separated the guide into three looks based on function: comfy airport/travel style, casual daywear and classic evening wear! Whenever I'm headed to the airport or the train station, it's usually super early in the morning or really late in the evening. So, I want to make sure that I put together a look that will be easy to throw on and comfy enough so that I'll be able to take a little nap! I'm a sucker for a soft cotton t-shirt and leggings, and totally guilty of wearing a hat while traveling so I won't have to deal with my hair being all crazy looking. I usually lean towards a long, draped coat so that it can double as a blanket as well! 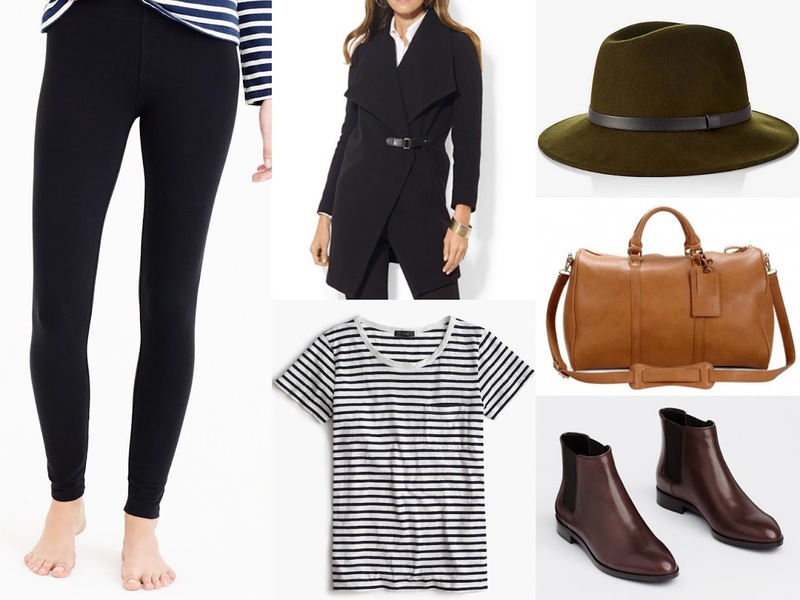 And of course, flat shoes are a MUST, and I've been obsessing over the chelsea boot lately--especially since they are very versatile and easy to wear! When I'm on a weekend out of town, I like to go a bit more casual and make sure that my outfit is easy to move in--this way, I can concentrate on sightseeing and being a typical tourist and not have to worry about outfit mishaps and be distracted by not so functional pieces. I'm a big believer that casual can also be chic. 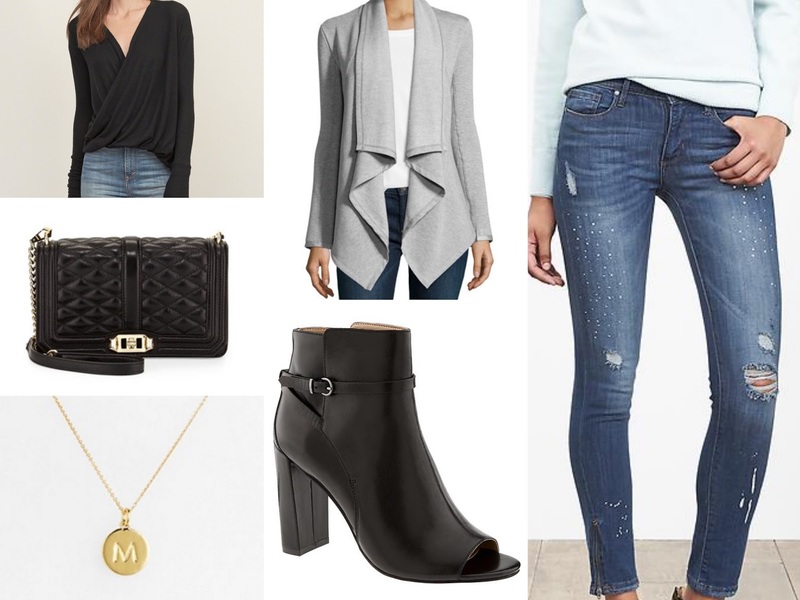 I put together a little look that I actually wore around in Chicago while sightseeing Cloud Gate (The Bean), walking around Millennium Park and visiting the Art Institute! Don't worry, a travel diary of Chicago is in the works for you guys and will be live soon! I know that heels may not always be the most comfortable form of footwear, but I love how these booties have a great chunky heel and open-toe design and just couldn't resist wearing them out while exploring Chicago! A more practical option would probably be flats, but I just loved how these booties paired with the rest of the look! Finally, for that evening out, make sure to pack a chic dress, overcoat and a pair of heels! I'm all for restyling accessories for a new look, and using the same accessories again means less pieces to bring and a lighter suitcase! I couldn't resist packing a good pair of heels though. You never know when you'll need them! I usually find that the only time I need a pair of heels is when I didn't end up bringing them! So, better safe to cover all your bases right?